Tomorrow night (December 13) the Type Truck is rollin’ into Fort Worth, and you should be there! 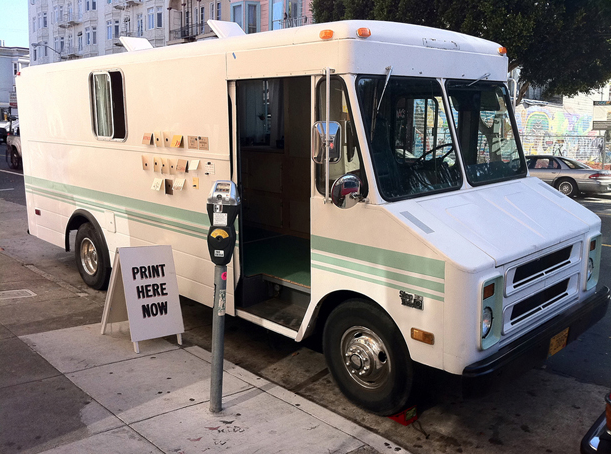 Kyle Durrie of Power and Light Press (located in Portland) has taken her truck across the US in an effort to educate the masses about the wonderful world of letterpress printing. You, too, can be a part of this fantastic journey at Piper Hall tomorrow. It’ll be fun. For more information, visit the Facebook event page.